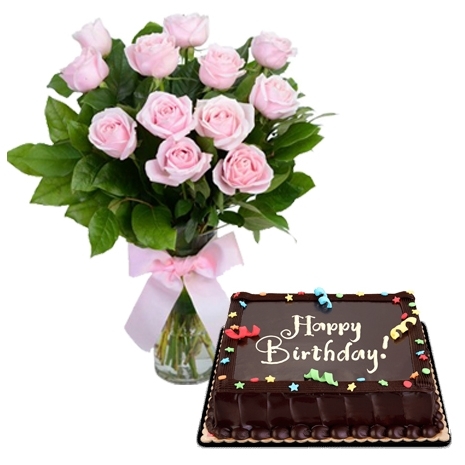 12 Pink Roses in Vase with Chocolate Dedication Cake by Red Ribbon. Your purchase includes a complimentary personalized free message card. Delivery Area: Anywhere in the Philippines. 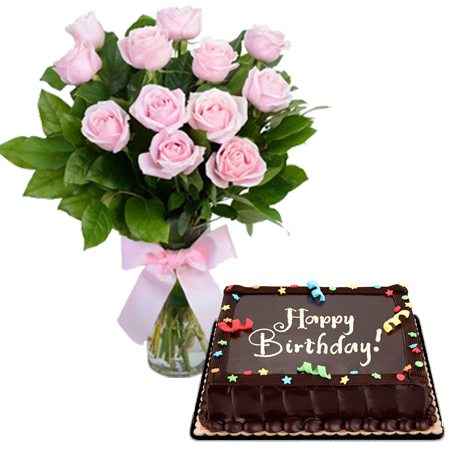 12 Pink Roses in Vase with Chocolate Dedication Cake by Red Ribbon.